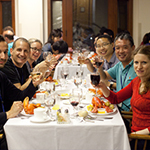 We are pleased to announce the sixth Cold Spring Harbor conference on Neuronal Circuits, which will begin at 7:30 pm on Wednesday, April 6 and run through lunch on Saturday, April 9, 2016. A comprehensive description of neuronal circuitry, an old dream of neuroscientists, is about to become a reality with recent technological advances. As these advances have been made in different model organisms and systems, there is a need for a forum where neuroscientists studying various neuronal circuits could exchange ideas. 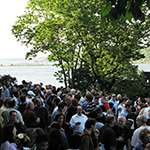 This CSHL meeting will allow for neuroscientists working on neuronal circuits in a wide range of model organisms, from invertebrates to mammals, to come together and discuss their research. Contributions from research, centered on neuronal circuits involving anatomical, physiological, theoretical and behavioral approaches will be encouraged. 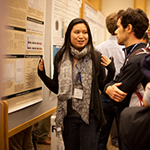 Abstracts are welcomed on all scientific topics related to the structure or function of neuronal circuits. They should contain only new and unpublished material and must be submitted electronically by the abstract deadline. Selection of material for oral and poster presentation will be made by the organizers and individual session chairs. 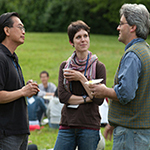 Status (talk/poster) of abstracts will be posted on our web site as soon as decisions have been made by the organizers.